Now is a great time to upgrade. Smartphones get better every year, but 2017 has seen a string of particularly impressive devices. The benefits are obvious -- there's never been a better year to be in the market for a new phone -- but that also means that making a decision is harder than ever. 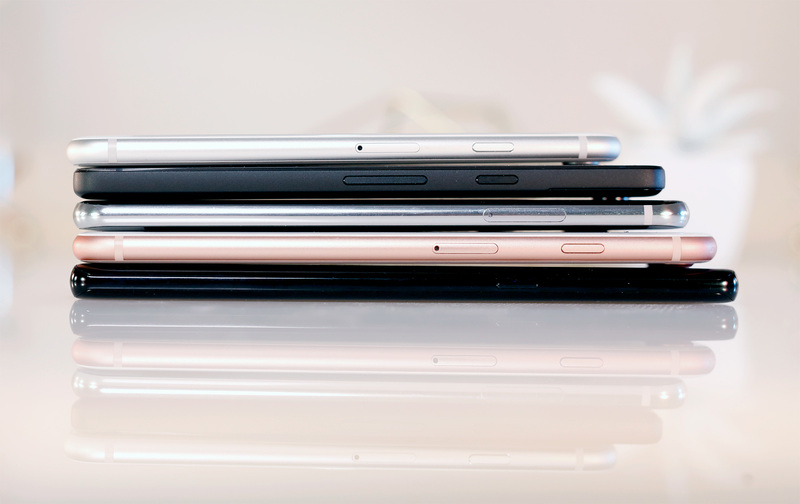 Since we've tested all of 2017's major releases to date, we've put together a list to help you figure out which phone is the best choice for you, broken down into sections that'll give you a better idea of where these devices excel. Bear in mind, having the best comes at a cost, and all of the options below cost at least $600. We have a separate guide for smartphone shoppers on a budget, and we're also working on one for the best mid-range phones, for folks not looking to spend a small fortune. If you simply have to have the best, though, have a look at our short list. This may seem like a cop-out, but we're legitimately torn: Samsung's Galaxy S8 and Apple's iPhone 8 are the best smartphones out there for most people. It really just boils down to where your platform loyalties lie. Of the two, the Galaxy S8 ($725) is the more physically attractive device, with its 5.8-inch Infinity Display and its meticulously crafted, water-resistant body. It's plenty powerful, thanks to its Snapdragon 835 chipset, and Samsung managed to squeeze in a few features, like a headphone jack and expandable memory, that some of its rivals have given up on. While we've seen devices like the Pixel pull off amazing camera feats, the S8's 12-megapixel sensor is nearly as good. When it comes to design, performance and features, you'd be hard-pressed to beat the Galaxy S8. The S8 also enjoys wide carrier support, and since it's been such a popular device this year, you can often find it for less than the usual asking price through sales and carrier promotions. Oh, and if you'd rather have some extra screen space, there's always the larger Galaxy S8 Plus. It's mostly identical to its little brother, so all the same praise applies, but its 6-inch screen is a pleasure to take in, and it has slightly longer battery life, to boot. But some of you are already heavily invested in Apple's services, and that's fine too. If that's the case, your best bet is to check out the iPhone 8 series. These devices are both incredibly powerful, owing to their shared A11 Bionic chipset, and they offer access to Apple's huge catalog of polished apps. The iPhone 8 ($699) is a great machine on its own, and is well suited to people who don't like the idea of carrying around a bigger phone. It also just might be the last, best iPhone of its kind, so you'll benefit from years of refinement that the iPhone X simply doesn't have yet. That said, the 8 Plus has some distinct advantages that make it the more powerful choice between the two. Its bigger battery means fewer trips to the power outlet (or the wireless charging puck, if you prefer). More important, the iPhone 8 Plus uses a 12-megapixel dual-camera setup that is simply superior to the iPhone 8's single sensor. We still prefer the Pixel 2 as an all-around shooter, but the 8 Plus's camera is nearly as good and benefits from true optical zoom. Samsung and Apple have both done some impressive work this year, and we think you'll be satisfied with any of the devices we just mentioned. These phones are also great entry points if you've spent more time using one platform over another: We've seen plenty of people switch from iPhones to Galaxy S8s and enjoy the transition, and vice versa. There's no questioning Samsung's mastery of smartphone screens, and if you're looking for something exceptionally big and bright, your search should start with the Galaxy Note 8 ($929). At 6.3 inches, this is the biggest display that Samsung has squeezed into a phone since the Galaxy Mega, back in 2013. Size isn't everything, though: The panel's 18.5:9 aspect ratio means it's much longer than it is wide, making it surprisingly easy to hold with one hand. (It also helps that there's hardly any bezel surrounding the screen.) And, of course, it's simply stunning to look at. AMOLED screens are known for their bright colors and deep blacks, but the Note 8's display was tuned to give colors a little extra oomph without sacrificing overall accuracy. Such vivid hues might not suit everyone, but the Note 8 is nothing if not thrilling to look at. It's worth noting that the Galaxy S8 Plus has a screen that's nearly as big as the Note 8's, and that it's less expensive too. While the S8 Plus represents the better value for most people, the Note 8 makes better use of that space. That's mostly thanks to the included S Pen. Taking notes and doodling on the Note 8 works exceptionally well, and having all that screen real estate means you can keep jotting for longer before having to start a new page. Other features, like onscreen translation, make the S Pen even more capable, and the combination of these features, plus an excellent display, make the Note 8 the big-screen smartphone to beat. Just about everyone uses their smartphone to listen to music, so why do so few companies seem to take smartphone audio seriously? Thankfully, LG has made high-quality audio a priority, and its new V30 ($840) stands apart from the pack as the best-sounding smartphone we've tested all year. Music piped through its single speaker is mostly just passable, but everything changes when you plug in a pair of headphones. Once the phone's Quad DAC (digital-to-analog converter) kicks in, music sounds noticeably louder and gains a much-needed clarity boost. If you're the kind of audio nut who enjoys fiddling with sound settings, the V30 offers a handful of presets that cater to different tastes -- the "detailed" mode emphasizes vocals and draws out nuances that may otherwise get lost in the mix, while "live" adds enough reverb to make music sound like it's being played in front of you. Audiophiles will also appreciate a few additional filters that tune audio performance even further, but this is the sort of thing you'll need to listen to really, really carefully to detect the difference. To be clear, there are more reasons to like the V30 besides its audio chops. Based on our testing, it's the most versatile smartphone out there when it comes to shooting video. Amateur cinematographers will enjoy the depth and control the V30 offers, but that proficiency at video is blunted somewhat by the dual camera's mediocre still image quality. While we generally prefer the Pixel 2 XL for its sleeker design and larger battery, lingering questions about the quality of its screen, combined with startling reports of QA mishaps, make the smaller Pixel 2 ($649) the safer bet. Thankfully, both phones share the same 12.2-megapixel main camera, and it's arguably the best smartphone shooter we've used all year. The sensor is only part of the equation, though: Google has lent its considerable computational power to the Pixels in the form of an HDR+ mode that we'd recommend you keep on all the time. Long story short: It makes for excellent colors, lots of detail and wide dynamic range, even in situations where light is scarce. Frankly, we thought the Pixel 2's camera was great by itself, but Google had a surprise up its sleeve. Inside every Pixel 2 is a dedicated co-processor called the Pixel Visual Core, meant to make on-device image processing even faster. Designing a smartphone chip like this is uncharted territory for Google, but we're pleased that the company's first foray is all about making the Pixel 2's camera even more capable. More important, the Visual Core is also meant to bring the power of the HDR+ mode into third-party apps, so pretty soon you'll be able to shoot photos inside, say, Instagram that look just as good as the ones sitting in your camera roll. Since 2017 has been such a banner year for smartphones, we felt it appropriate to shine some light on phones that, for one reason or another, didn't quite make the cut. 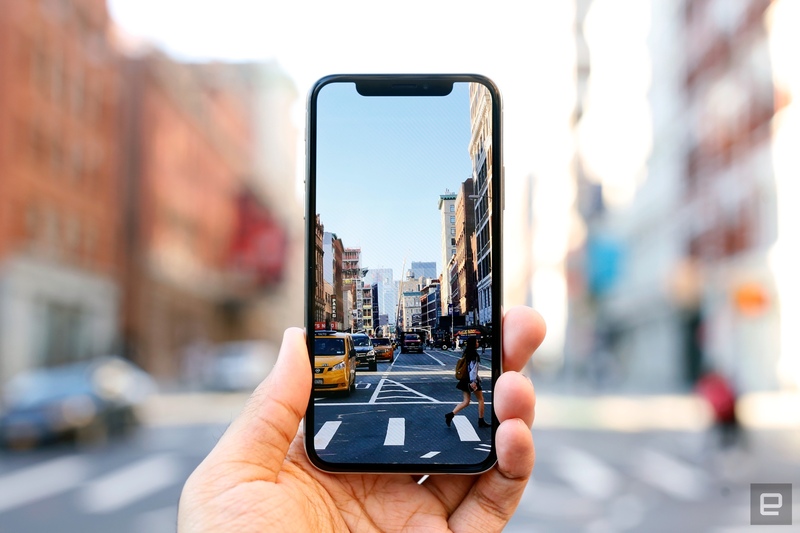 Apple's iPhone X ($999) represents the most radical change to the iPhone formula ever, and it's a very, very good phone. Its screen is excellent, as are its performance and camera. You probably don't need me to tell you it's perhaps the prettiest slab of hardware Apple has ever built either. Looks aside, its steep price and middle-of-the-road battery life mean there are better choices out there for most people. Meanwhile, the Essential PH-1 ($499) deserves a nod because it's a well-made device crafted by a relative newcomer. 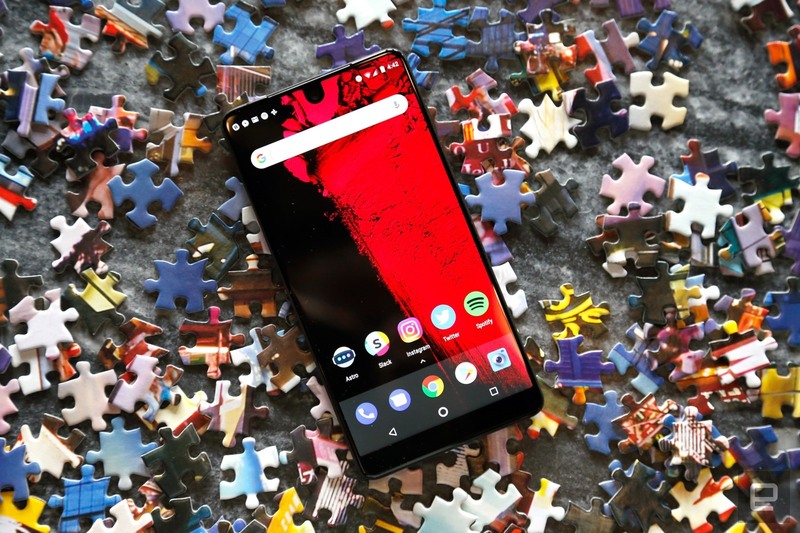 Essential might be new to building smartphones, but it brings Android co-creator Andy Rubin's know-how and some undeniable industrial design chops to the table. Ultimately, the PH-1 is held back by its lackluster camera, but the startup deserves credit for proving that giants like Apple and Samsung haven't completely cornered the market on truly elegant hardware. And let's not forget that 2017 isn't over yet, and we're looking forward to testing a few other devices that might have nabbed a spot on this list. The Razer Phone ($699) borrowed a design from another handset we enjoyed and modified it to cater to the company's core audience: gamers. 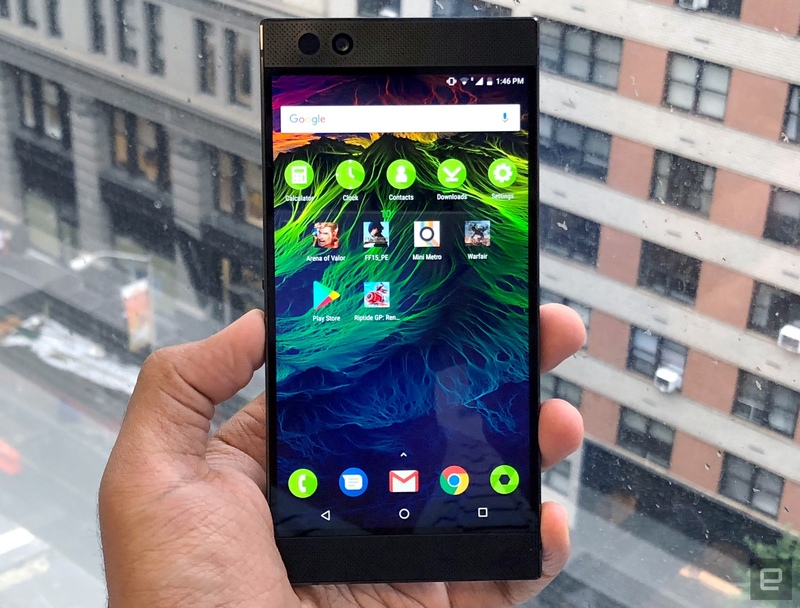 We weren't thrilled with its camera in our recent hands-on demo, but the Razer Phone is one of the few smartphones in the world with a 120Hz refresh rate, making motion on screen appear impressively smooth. Throw in a Snapdragon 835 chipset, 6GB of RAM and a whopping 4,000mAh battery and we're left with a device that, while customized for mobile gamers, has plenty to offer mainstream users too. There's also the OnePlus 5T, which is set to be officially unveiled at a press conference in mid-November. Based on a glut of leaks, the 5T will ditch its capacitive navigation keys to accommodate a screen that takes up more of the phone's face, a move that forced OnePlus to stick its fingerprint sensor on the back, beneath an upgraded dual camera. We're expecting it to be a solid update to an already powerful device, and it should stand as proof that you don't need to pay sometimes outrageous flagship prices for an extremely capable phone.